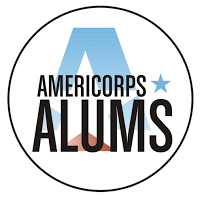 One way that I love to engage my students is to use topics that they are interested in to teach new skills and strategies. For example, if they like to play Minecraft, then I find all the ways that I can bring Minecraft in to our math, reading, and writing lessons. My fifth graders loved Angry Birds and Legos last year, so I tried to bring those in to lessons whenever possible. Anytime you can hook your students with something that they love, you will have engaged students in front of you. I've never met a student that wasn't interested in learning about sharks. All of my fifth graders, boys and girls, love to learn about sharks. I don't know where the fascination comes from, but it's great because it provides me the opportunity to get a lot of nonfiction practice in. 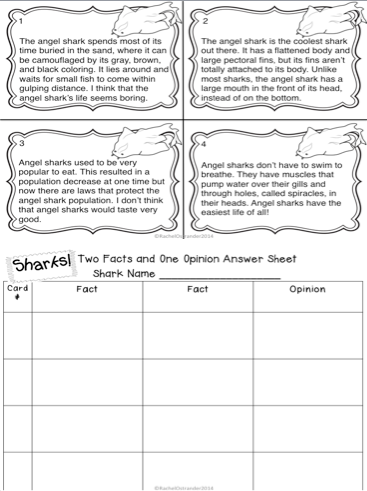 Reading about sharks can be great for cause and effect, fact and opinion, nonfiction text features, author's purpose…I could go on and on! So why not share a little shark freebie for your classroom? 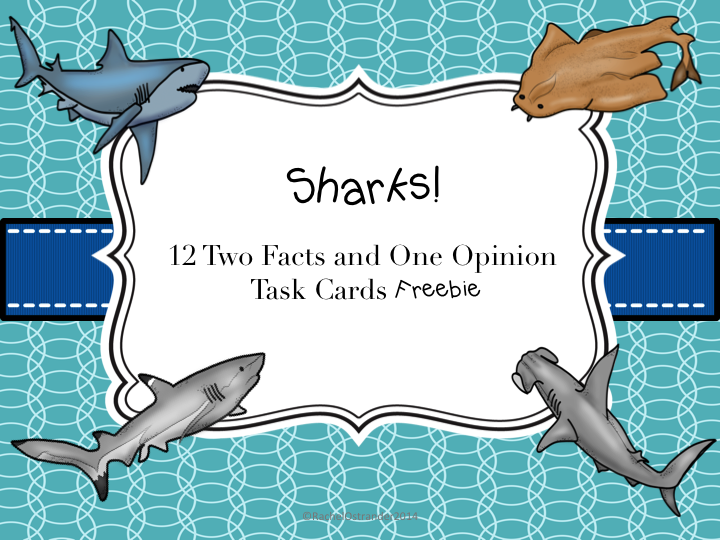 My Shark Week freebie is a few shark-themed fact and opinion task cards. Each card has three sentences. Two of those sentences are facts and one is an opinion. It's up to your students to identify each. Grab the Sharks! 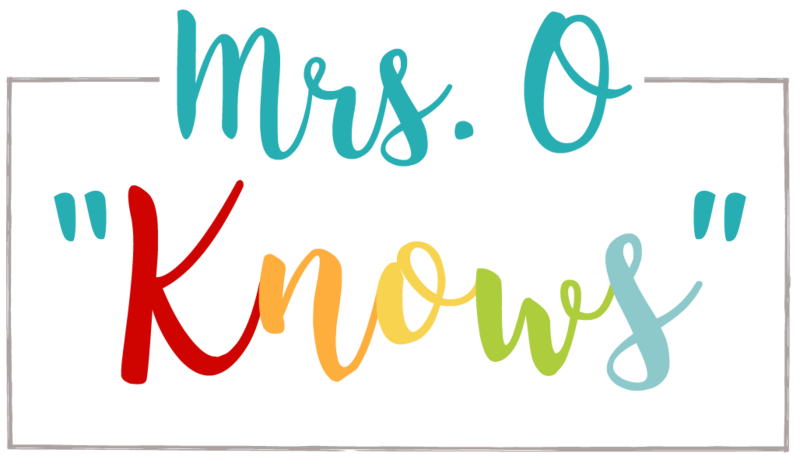 Fact and Opinion Task Cards Freebie by Clicking Here and since it's a freebie, please don't forget to leave me some feedback! Thank you so much for the freebie. I agree incorporating student interest into teaching is so important. My students were obsessed with Duck Dynasty so I created some fun activities with a Duck Dynasty theme. They were a hit and the kids were learning and having fun. I'm always excited to find out what the interest of my new students will be. Lego seems to be big right now, but you never know what you'll have to learn about from year to year! 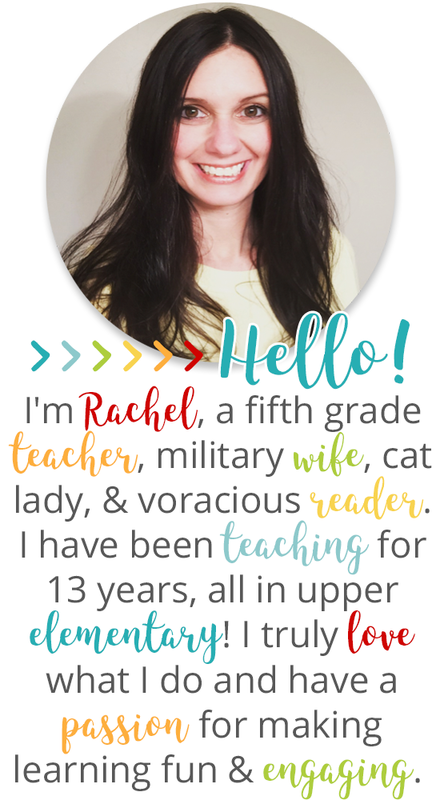 Thanks for the freebie, Rachel! 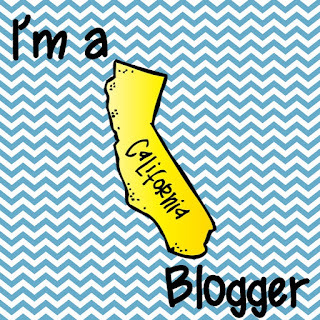 Loving this blog hop, too CUTE! This was such a fun hop. I loved it! So glad that you loved it! Hope you grabbed some "fin"tastic resources! How fun!! 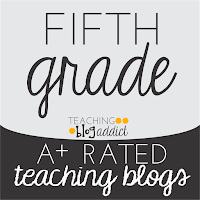 I love sharks and can't wait to use all of these resources! 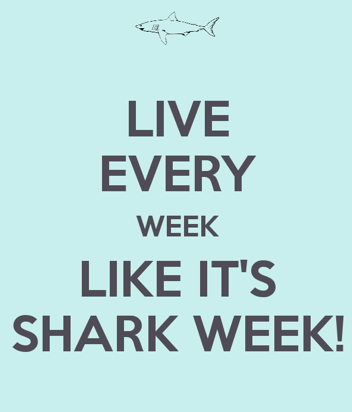 We may have to have another shark week since school isn't in session right now. I'm going to save all of this up for January right after the winter break. I figure that everyone is in a bit of a "funk" when they come back from break so sharks will bring us back to learning! I'm right there with you! If you can find out what the students are interested in and incorporate it in any way, they are SO much more engaged! Minecraft was a big one for my kids too- and thankfully, it's awesome for area/ perimeter/ volume or even storytelling. I can't wait to use these task cards with my early finishers this year. 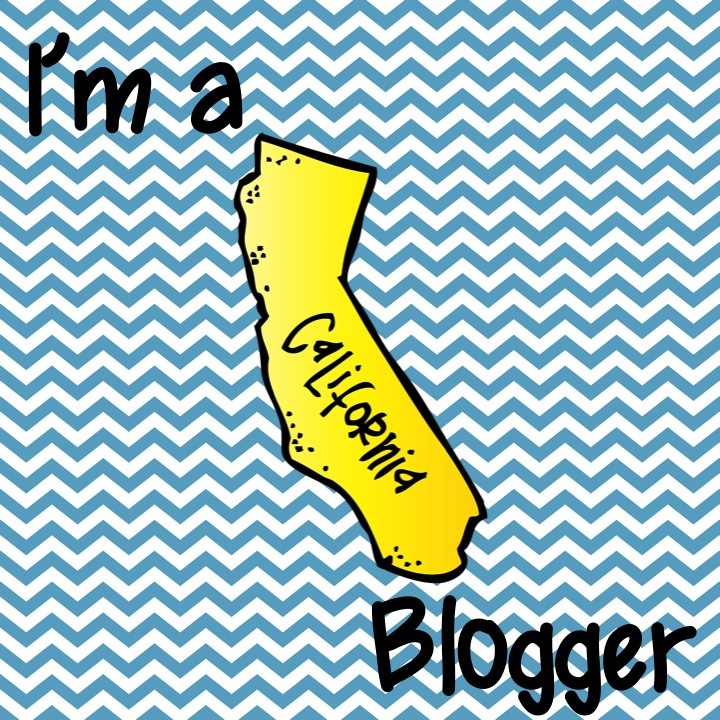 Thanks for sharing and linking up with me!